Houmam takes the human figure to a new level of expression with his playful and childish representations of everyday people set in a specific time and space. 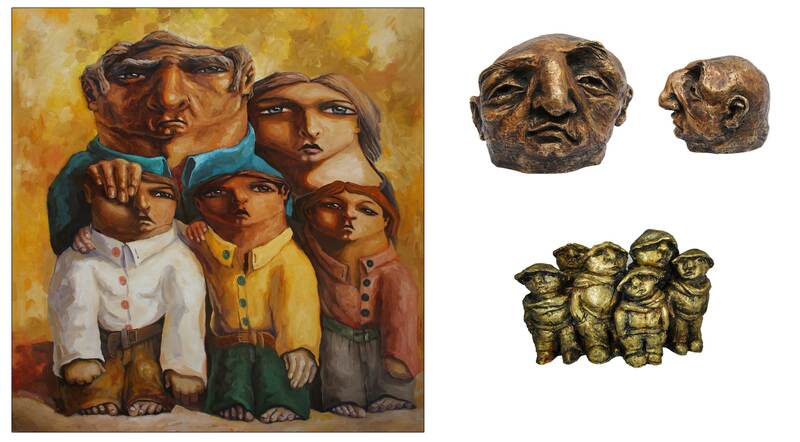 Distinctive faces portray strong and flexible characters, clearly grounded in his sculptural background. Works on sale cover the whole artistic process, from line drawings, to large, colourful canvases and last but not least, sculptures in bronze. An exciting first sale at the Sotheby’s in Doha and second sale in Christie's Dubai in 2010, has set this artist on a fast track of success.